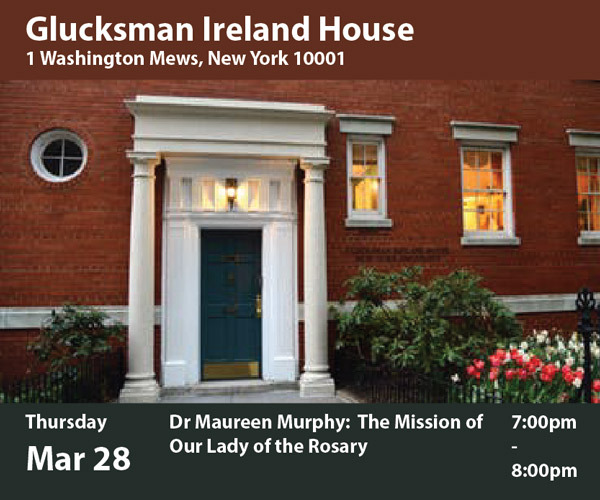 Between 1883 and 1908, 100,00 young Irish immigrant women found themselves seeking refuge at The Mission of Our Lady of the Rosary for the Protection of Irish Immigrant Girls in downtown Manhattan. Dr. Murphy documents the role of this important institution through digital records that have survived to tell the stories of these immigrants and their initial encounters with becoming American. Maureen Murphy is Professor Emerita of Teaching, Learning and Technology at Hofstra University.